Everyone is invited to the event cosplayers and those who just want to watch and enjoy the event on February 13, 2016 just in time for Valentines Day. 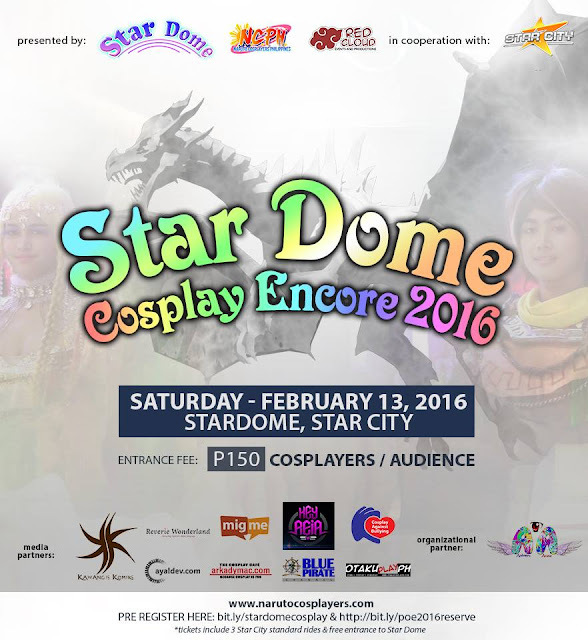 In cooperation with Naruto Cosplayers PH (NCPH) and Red Cloud Interactive will be bringing cosplay and Japanese music and culture to Star Dome and Star City. Entrance is only Php150 and already includes Star City entrance, 3 regular rides and entrance to Star Dome. Regular rate for this is Php480. mystical creatures come alive. 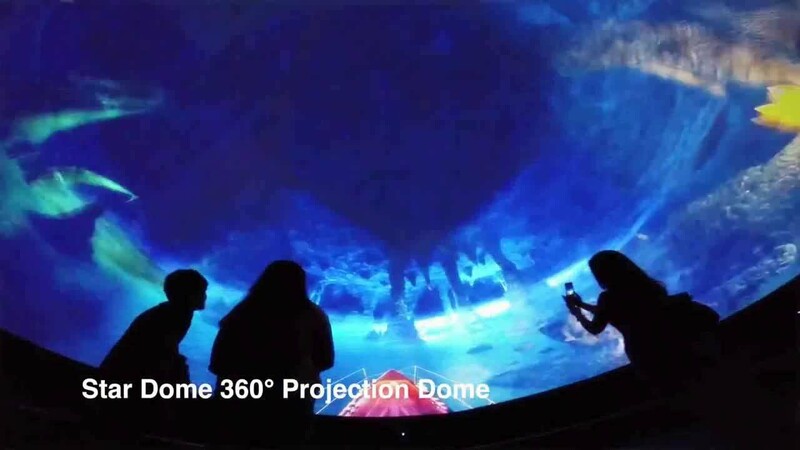 Characters that you only see in books and in movies can now be seen as they come alive before your eyes in four dimensions. This is the main reason why cosplay is seen as very appropriate partner of the attraction. Japanese cover group and performers Raindrop, Vs Project, Ivy! Musume, Twinkle and Elaine Lachica will also be gazing the event and entertaining everyone. Fantasm Cosplay will be the format of the cosplay competition and winners will be selected based on the realistic appearance and portrayal of their characters. Category Winners will receive Php2,000 each and includes Realism Award, Difficulty Award, Costume Award, and Engagement Award. The grand winner – Fantasm Award will receive Php3,000 in cash. There will also be an award for the Best Child cosplayer which will receive Php1,000 in cash plus a big toy from Star City. Besides the cosplay competition, Ma-i Komiks an emerging Pinoy Manga supported by Naruto Cosplayers will also be giving away 100 copies of Book 1. You can also get the complete set of 5 books of Ma-I during the event. Aishteru Anime will be the official organizational partner of the event together with Cosplay Against Bullying. Those who want to register for the event you can visit www.narutocosplayers.com. Ride-All-You-Can tickets and Special Passes to Spinning Manila Live concert in Manila will be given away to lucky winners.